The goal of BASF is to create chemistry for a sustainable future. BASF has a massive portfolio that ranges from chemicals, plastics, performance products to oil and gas. In total BASF has customers in virtually all sectors and serves a global customer base. The goal of BASF is to create chemistry for a sustainable future. BASF has a massive portfolio that ranges from chemicals, plastics, performance products to oil and gas. In total BASF has customers in virtually all sectors and serves a global customer base. To support this industry giant, there are more than a hundred thousand employees. BASF saw the critical need to align all employees to its brand promise and value proposition. The Brand Theatre was engaged to create and deliver an internal branding designed to establish alignment and consistency across all employees. 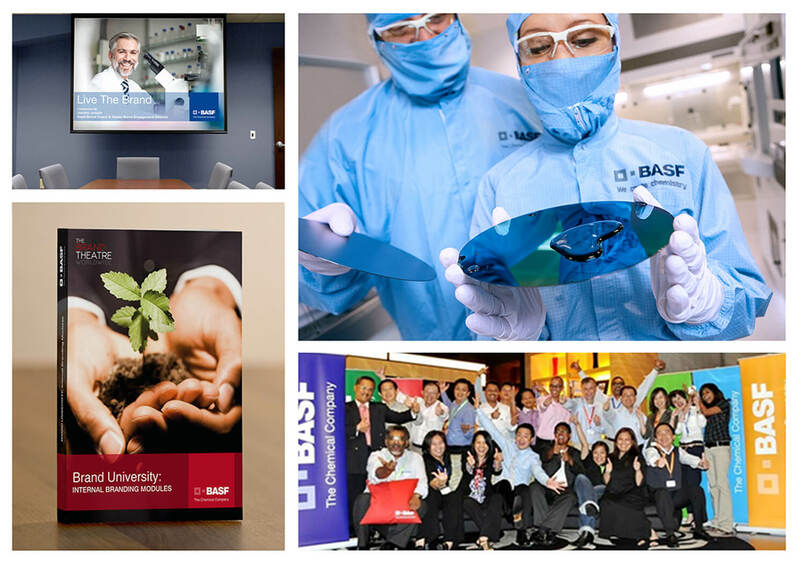 With this goal in mind, The Brand Theatre established the BASF Brand University and crafted key strategic modules focused on internal branding and appreciation of the brand, which were delivered at senior level management training workshops and then cascaded down throughout the organisation. This strategy was implemented through Live the Brand Workshops designed to engage key stakeholders to the BASF Brand Champion Mindset. The result of this project was the overall institutionalisation of the BASF brand across all employees.